Taking advantage of my friendship with Tomasz, while being under his strong influence about photography, I decided to share with you my short history about building my own – definitely more modest than Tomasz’ one – collection of albums and books about photography. This post is a sequel to an earlier post by Tomasz – The Stendhal’s Syndrome. I thought nothing can beat the first impression when you enter – for the first time – the premises of Tomasz – an old-fashioned, classical, a resort-style villa surrounded by immense old-growth trees and vast garden. Simply – breathtaking. Morover – it seems to be a promise for something extraordinary. Something of a magic which you expect to find once crossing the doorsteps of that house. But only when for the second time I had a chance to visit Tomasz in his place I encountered that most important, truly unusual thing – a giant library fitting the whole two walls of an immense cabinet. Full to the brim of the photo books and albums. Lucky me – I spent hours in there, reading, going through the pages, and listening to the stories told by Tomasz: about the authors, about how those great photographs were taken. And – honestly speaking – it did not take me long to start collecting my own set of the books – interesting ones, sometimes quite fresh, sometimes published long ago. Sure – I had had already something in my “pile” before. Some classics like Koudelka, McCurry, Parr, Salgado, some Magnum general stuff, things like that. But I thought I was missing something, something “different”, something “interesting”. 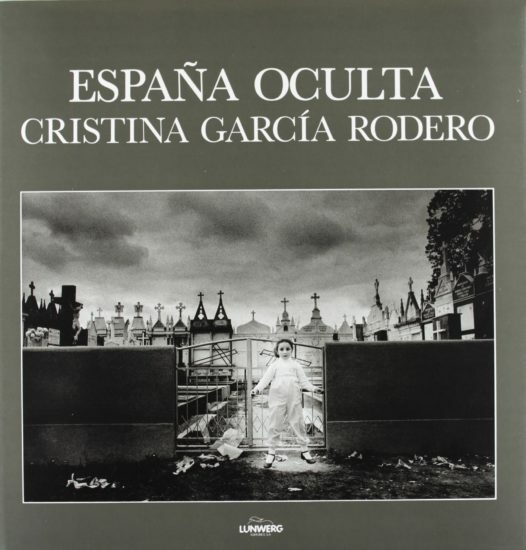 First tip came from Tomasz: “There is that unusual thing – Cristina García Rodero and her España Oculta”. I tell you this – this thing is really unique. It tells the story about the Spaniards some few decades ago, and their religious lives. Literally – every single photograph is a piece of real art. It was then when I realized – this is the right direction, this is that very avocation that I need. And then came the others: Roger Ballen, Antoine d’Agata (God, that latest book of him is really something! ), PJ Harvey, Lorenzo Castore, and the others. After that came yet another step – a quest for really special books, a sort-of off-side to photography: I found “The Last Testament” by a Norwegian journalist Jonas Bendiksen. It is a story about seven men, each of them living in a different part of the world. Each of them claiming to be a new embodiment of Jesus Christ. A really fat book resembles the Testament in its design. A really unique thing. Another peculiarity which I found was a book by a Japanese photograph Watabe Yukichi who passed away years ago, “A Criminal Investigation”. Together with an author we are following a police detectives team who try to solve a complicated case of murder. A very dark story, but a story which drives us into the investigation in depth. We simply feel as if we were the detectives ourselves, solving the case that happened decades ago. Plus – that unusual graphical design of the book (same goes for the book by Bendiksen) making it stand out from the whole bunch if the “ordinary” photo books. And finally a few words about quite a different category in my collection. I started this category with a special book by Tomasz “Everything Can Be Anything”. This is a unique, collector’s edition of Tomasz photographs taken in the last two years. Unavailable in any book store, signed by an author, limited edition, a unique thing. A real gem. Nice to have such a thing in your collection. Well – forgive me this clear sign of snobbism. What next? How the collection will look like in a year or so? Hard to tell anything here but just one thing – it’s going to get “fatter”. And for sure one thing must enrich the set – a long time ago published pearl “Half Life” by Michael Ackerman. I truly recommend this “upright game” of collecting the photo-books.